WACO, Texas – Baylor cross country begins NCAA postseason competition Friday at the South Central Region Championship at Dale Watts Cross Country Course in College Station, Texas. "At the beginning of the year this is one of the meets that defines your season," associate head coach Jon Capron said. "Going in you're hoping to be fighting for one of those tops spots that earns you another race. If you're outside of that group, you're fighting for how you want to end your season." Competing for Baylor in the women's 6,000-meter race will be Alison Andrews-Paul, Sarah Antrich, Haley Everroad, Brooke Gilmore, Celia Holmes, Hana Marsheck and Lindsay Walton. "Alison needs to be up near the front," Capron said. "She and Brooke need to be dreaming of those All-Region spots. They have earned some expectations going in, they both just need to put a whole race together on Friday. "Celia's had a solid year. We are looking for something to hang our hats on for this year and set our expectations going forward. Sarah Antrich has had great workouts and is still looking for the result to match her hard work. Hana, Lindsay, and Haley are all capable of having their best day tomorrow." On the men's side, the Bears are taking Ryan Day, Matt Henderson, Henry Huff, Connor Laktasic and TJ Sugg to compete in the 10,000-meter run. "There are teams that we beat at the beginning of this season," Capron said. "And obviously we're missing Jeremy (Meadows), we're missing Cal (Johnston), but we should still be able to run with them. If Connor has the day that he should, TJ has the day that he should, those guys should be sniffing at the all-region spots, too. That would be a big day for them, but they should be dreaming of it, for sure." The women's 6K will start the day at 9:15 a.m. CT, followed by the men's 10K at 10:15 a.m. CT. Live results and splits from the meet will be available at flashresults.com. 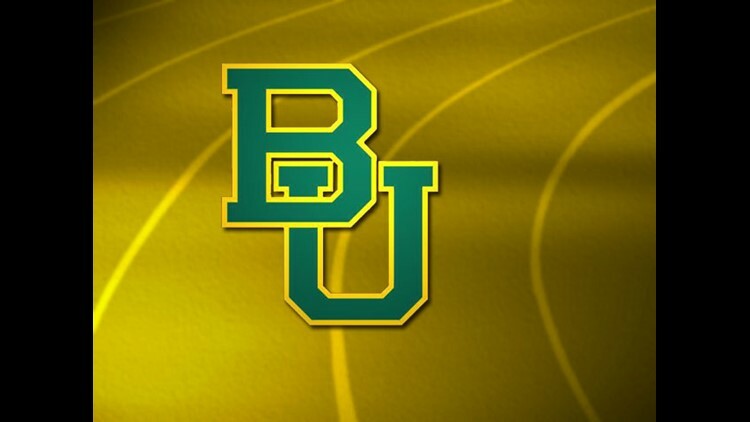 For updates on Baylor's cross country team, follow @BaylorTrack on Facebook, Twitter and Instagram.